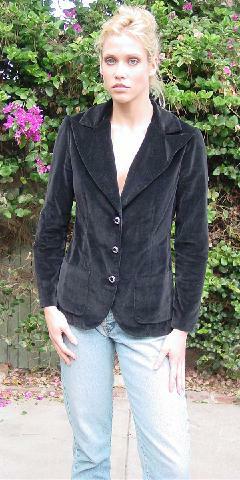 This vintage black velvet jacket has 3 black and silver-tone buttons down the front. 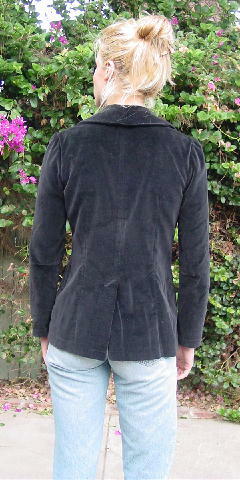 It has large lapels, a black lining, and 2 open front pockets. There is a 7 1/2" foldover back center slit. It belonged to a European model who wore it with skirts, pants, and jeans. She gained some weight, so it didn't fit any more. shoulder to hem 24 3/4"